I’ve always loved sun prints and used to buy those kits in the toy store when the girls were small. My mother had a wall full of framed 5×7 sun prints made by the children above the kitchen table. I liked the element of surprise to them, how sometimes a leaf that shifted during its exposure to the sunlight would register an unimagined but beautiful effect – a ghostly blur. 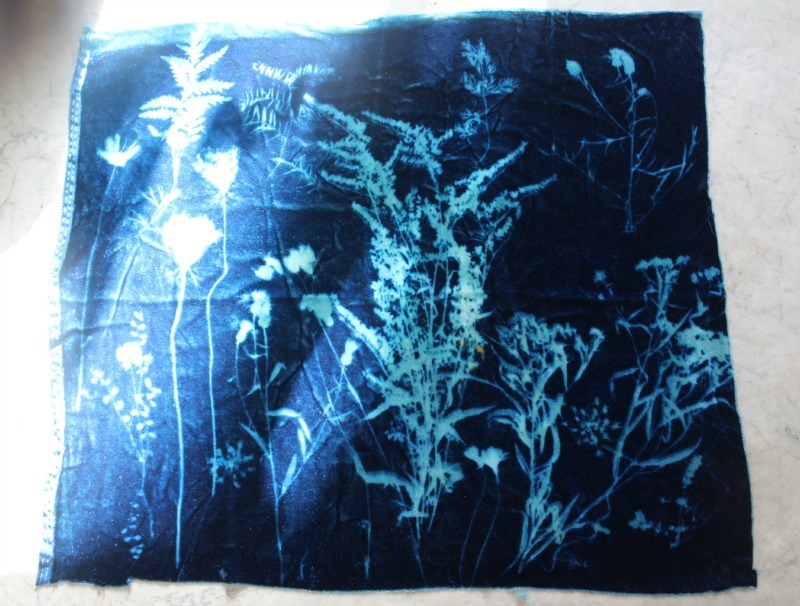 Cyanotype – is a photographic process that produces a blueprint. The process was discovered by a British scientist (actually he was a lot of things – chemist, astonomer, botanist, etc. ), John Herschel in 1842. Anna Atkins, a botanist who was a family friend is considered to be the first woman photographer and the first person to publish a book illustrated with photographs. It is assumed that she learned this technique of photography through her connection with John Herschel. She published three volumes of Photographs of British Algae: Cyanotype Impressions. 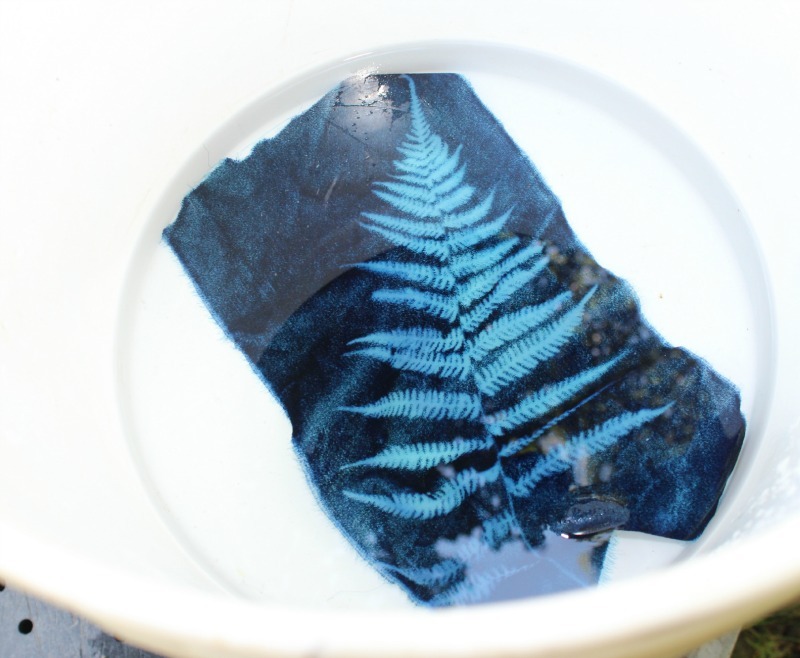 Blueprints on Fabric sells fabric permeated with the photographic chemicals to produce a cyanotype print on the fabric. Linda has a great variety, different types of cottons and silks, even hemp and bamboo. I chose a silk velvet to make some pillow covers. The fabric itself is – well, silky and velvety. I made these at the trailer in upstate New York on a brilliantly sunny day. 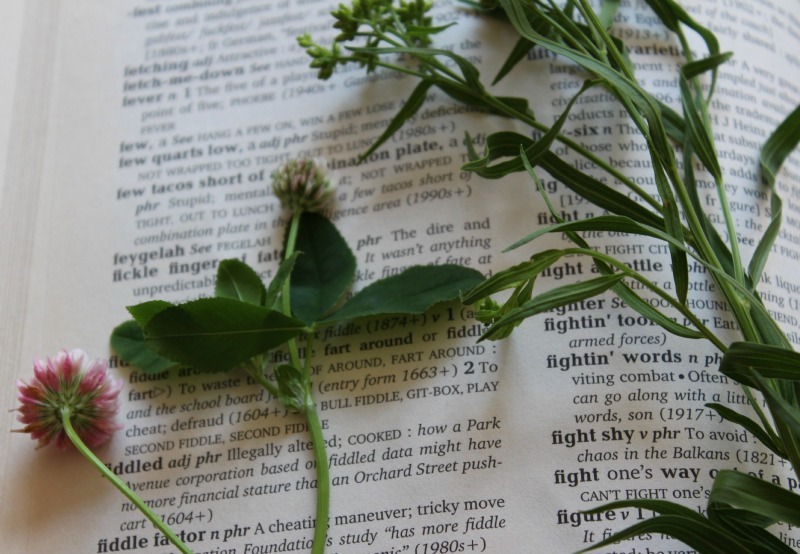 I had pressed the wildflowers of late summer in a dictionary. These landed on the letter F. I observed that the F words are strong; you see Fickle, Fight, there is Fear, Friend, Fate and Fair and the obvious. The fabric arrived in black bag because it is essentially a piece of film. 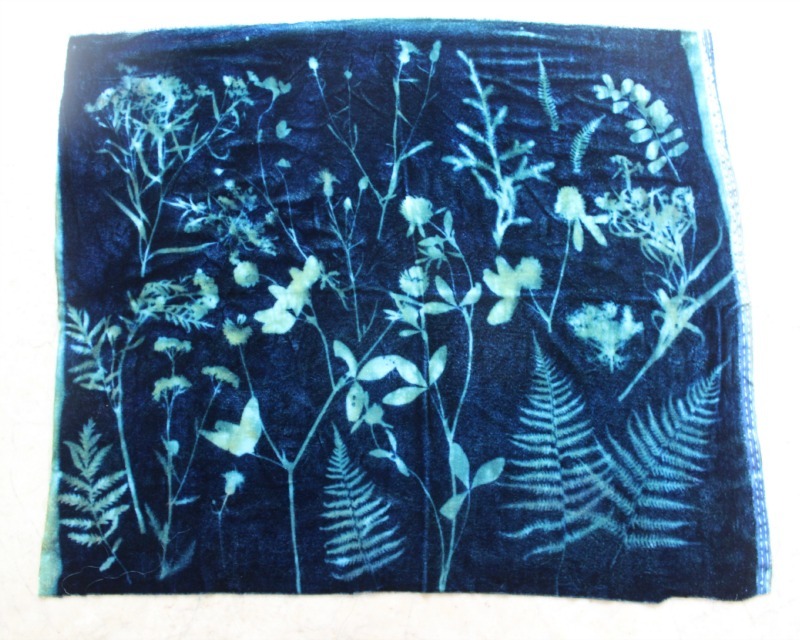 You lay out the flowers indoors in a darkish space so you don’t expose the photo sensitive fabric. You can pin the objects or do what I did and placed an old window on top of it. Then you carry it outside and into the bright sun to expose the photograph. When the allotted time has passed depending on how bright the day is, you soak the fabric in cold water and rinse it. 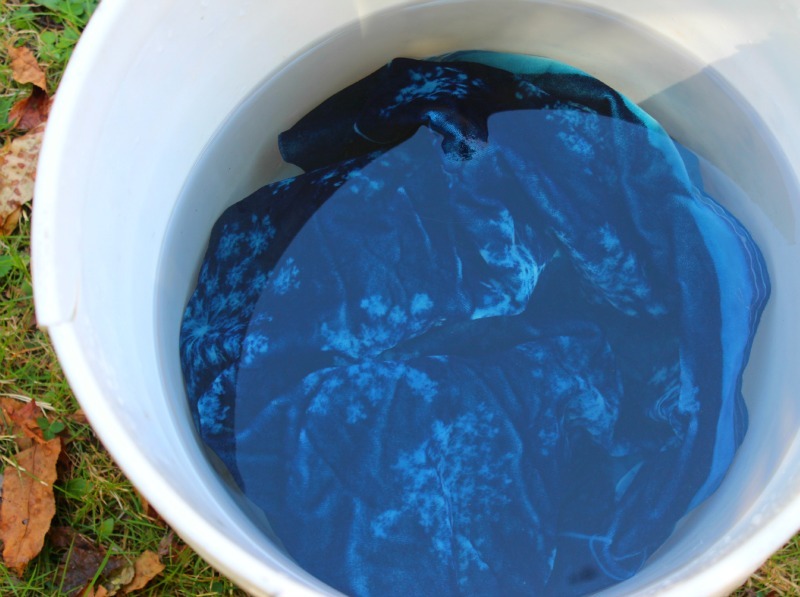 A little splash of hydrogen peroxide will quicken the deepening of the blue color that the velvet turns into. 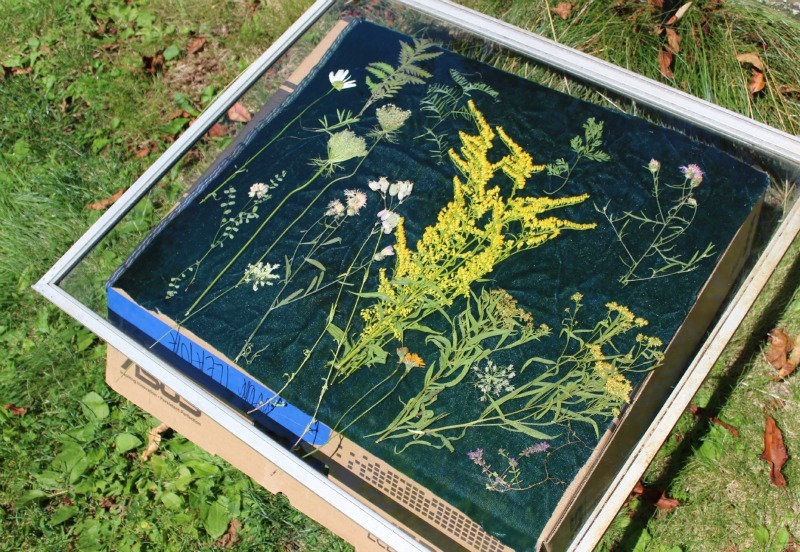 this piece was all queen anne’s lace. Then you set them out to air dry out of any direct sunlight. I am happy with the finished result. 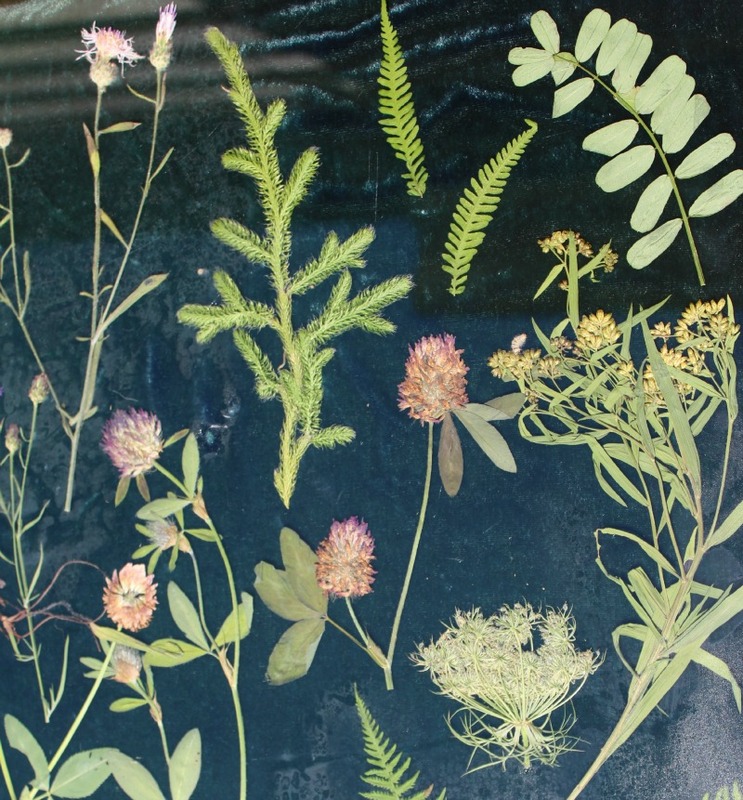 Just like a photograph, parts of it are in focus with great detail and other flowers are in soft focus. Some of the white areas have a bit of bronze in them and the look of it reminds me of mother-of-pearl.